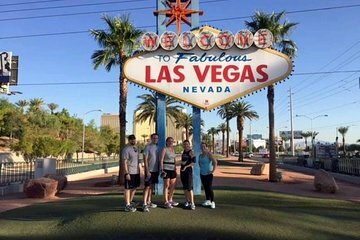 Slip on your running shoes for a 60-minute run along the Las Vegas Strip — it’s a great way to see one of America’s most popular roadways. Meet up with an entertaining guide who points out landmark casinos and takes your photo at the iconic ‘Welcome To Las Vegas’ sign. The 4.2-mile (6.8-km) route is accessible to all levels of runners and the tour is designed for fun, not a race! Jimmy is fantastic. Friendly, knowledgable and a motivation runner. The run was informative and Jimmy tailors the run to your pace and provides water and brief stops if you need it. He communicates with you before the run to touch base. Excellent service. Highly recommended! !Thank you! Will be back!